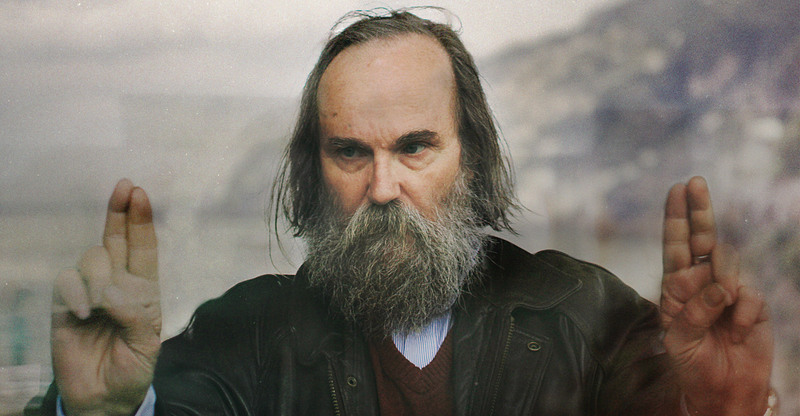 Lubomyr Melnyk's new album, Fallen Trees, is out 7 December 2018 via Erased Tapes. Mr. Melnyk, is it true that every piano on earth has a unique voice? Yes, every piano has a very, very different voice, especially in the rapid, sustained playing technique I pioneered called continuous music. People will not notice it so much in regular music — but continuous music enhances the sound of the piano completely. It’s like a megaphone for the voice of the piano, and so those changes and those differences come through. What does your piano’s unique voice sound like? Oh, nothing special whatsoever! It’s just the piano. In continuous music, the piano has an important part in the tones that come through but it’s the way it’s played that makes the difference. You see, my music cannot be heard on the page, the notes will not tell the person how the sound will be. That’s why I find it very valuable to play on different pianos because you can experiment with different note positions and things like that. Nils Frahm said that the biggest compliment is when someone says they can recognize him by his music alone; that the music sounds singularly like Nils. There are people who play at a very basic level, a beginner’s level, and there they achieve to some extent a sound similar to mine — but not always. The magical thing of continuous music where the fingers and the pianist and the piano become one entity… People cannot see that so much. They don’t know that it’s happening. But they would if they could hear a continuous pianist play the piece and then somebody from the classical world. They would notice quite a big difference. And then on top of that, there is big difference between a novice continuous pianist, and a veteran like yourself. Oh absolutely. The higher the level of the continuous pianist, the more your fingers operate in a totally different way, the more your sound changes. I think people would definitely notice a difference between my playing and somebody else’s at the same speed. But this is the problem; nobody can play the music. People have a hard time learning the technique? It’s more than a hard time! It’s physically impossible for the brain to do it! It’s the highest level of generating music. There has never been anything like this in the world before… I don’t know, it’s also not totally in my hands or in the hands of those who wish to learn. It is a gift from above. The piano is a miracle. And people don’t really understand what an incredible miracle it is, not only the instrument but the simple ability to be able to play it is a complete miracle that people never knew existed. Well, you know, Bach could play the piano, Mozart could play the piano, but they never had lessons, you understand? Now people learn to play from other people who played before, but there was no one who played before when the piano was first invented. People think that the existence of piano technique simply grew. It didn’t grow! It simply happened. It was given to certain people on earth to be able to do it. It is a phenomenon, and like that, continuous music is also a phenomenon that has come into the world. Is that phenomenal quality what amazes you most about the piano? For me now, the thing that amazes me most is that pianos have become alive. I know that when I touch them, I awaken them, they don’t sound the same at all. The piano has always been asleep until continuous music came to it and then it woke up from this dead sleep that it was in. It sings. I don’t know if people can notice that, but I notice it. If they could hear the piano when I first sit down to play, before the concert begins, then they would hear the difference. But also, during any concert, there is a problem that is very, very annoying which is that string players and wind players are destroying piano music, they’re destroying the piano. In what ways are they destroying it? Because they want a higher pitch than what the piano was meant for. And so the sound, the timbre of the piano is being destroyed. The piano is the king of everything, and so it should dictate the orchestra. All those other people are just there to serve and to glorify the piano. I find it terrible that the piano should be sacrificed and castrated just because of some stupid string players and wind players want to have a higher pitch. You’re killing the sound of the piano. If I tell him to tune down his violin just a notch, it’s not going to kill his sound! But he’s killing my piano. They’re all murderers and destroyers! The soul is being ripped out. From everything you’ve said so far and from what I’ve read about you, it seems like you have a true, deep selfless love for this instrument. Does it take that level of devotion to excel in piano music? In continuous music it does! But I think the two go together. I think the music shows the pianist what the piano can do! It shows you totally different beautiful things. It would be like an incredibly beautiful woman who had to wear a mask on her face all the time — and then that mask is removed. Continuous music removes that mask and releases the full beauty of the piano. So this love… They feed each other. The love feeds continuous music, and continuous music reveals more beauty which feeds the love even more. And so they grow stronger together, right? Exactly. My love for the piano is beyond words. It’s not just the piano, it’s also because I play continuous music. If I could only play Chopin and only play Rachmaninoff, then I would not have this love. I would have kind of an ordinary love for the piano, which all pianists have. Continuous music is not cerebral or analytical, you know, it has to be lived. And people have no idea how this love grows with continuous music… It is beyond dimensions, it is beyond anything. With Rachmaninoff and with Beethoven or Bach, the soul lives in the music, not in the piano. But continuous music, it lives in the piano. Your soul is living inside the piano.